Respecting Rights is a project at ARCH that is led by self advocates labelled with intellectual disabilities. 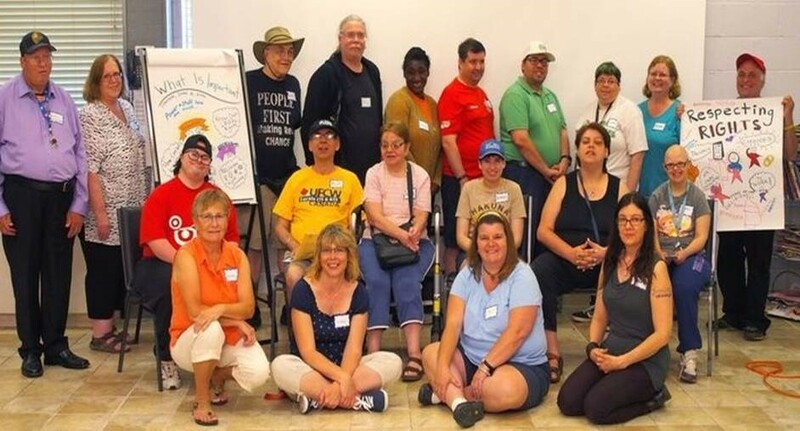 Since 2011, Respecting Rights has provided innovative, accessible rights education to persons labelled with intellectual disabilities and their support networks across Ontario. Respecting Rights also works on accessible law reform projects. Our work builds the capacity of persons labelled with intellectual disabilities and their support networks through education and support for self-advocacy. ARCH is grateful to have been awarded funding from the Special Projects Initiative which will be critical in supporting and expanding this program. These funds were made available through the settlement agreement in the institutional abuse class action against the Government of Ontario regarding the Huronia Regional Centre. ARCH is launching a series of educational legal rights videos for people labelled with intellectual disabilities. On March 19, 2019, Respecting Rights participated in Flying to Freedom to commemorate 10 years since the closure of the last large government-run institutions for people labeled with an intellectual disability, and reflect on how we can commit to creating a fully inclusive society. The event was organized by institutional survivors and several organizations within the disability community, including People First of Ontario. Respecting Rights spoke to The Journey from Institutionalization, and how they are addressing institutionalization and supporting people who have an intellectual disability to lead meaningful lives in the community.